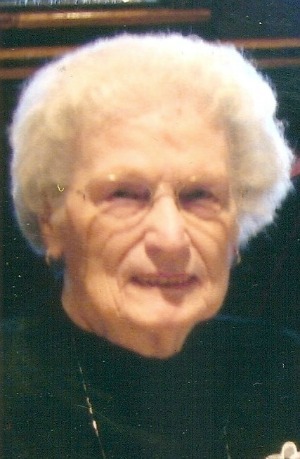 Anna E. Mathis(Gaskill) age 97. Born May 26, 1920 and departed this world on April 16, 2018 to join her husband, Norman, who passed away on April 18th, 2008. She was born and raised in Tuckerton, New Jersey and resided in New Gretna, New Jersey until 2006 when they moved to the Shores of Wesley Manor. While at the Shores, she was very active and served on their residence council for many years. She was also an avid bingo player which she tried to never miss. Anna was also a life time member of the Tuckerton Seaport. She is predeceased by her husband of 80 years, Norman, her parents Henry Gaskill and Emma and Roy Phillips, her brother Henry Gaskill, her sister Laura Fay, and her daughter-in-law Carolann Mathis. She is survived by her sons; Norman and Ronald(Patricia), her five grandchildren; Brian(Colleen), Stephanie(Bob), Stacey(Frank), Craig(Nancy), and Darren(Sherri), and twelve great-grandchildren. Visitation will be Friday, April 20, 2018 at 10:00 AM at St. Paul’s United Methodist Church, Route 9, New Gretna, NJ, 08224 with the Funeral Service beginning at 11:00 AM. Burial will follow at Miller Cemetery in New Gretna. Donations in her memory can be made to St. Paul’s Methodist Church PO Box 82 Route 9, New Gretna, N.J. 08224. We are sorry to hear of the passing of your mother-grandmother . Our condolences in this sad time. I am sorry for your loss of Anne. May the “God of all comfort” embrace you and bring to your minds joyful memories. (2 Corinthians 1:3,4) All the best wishes for your family at this difficult time, take care.